Please scroll through this wonderful post. 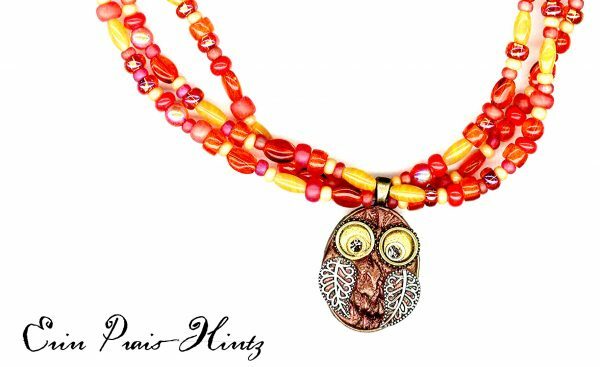 It highlights twelve designers and the unique bead mixes created by John Bead that they were challenged to work with. 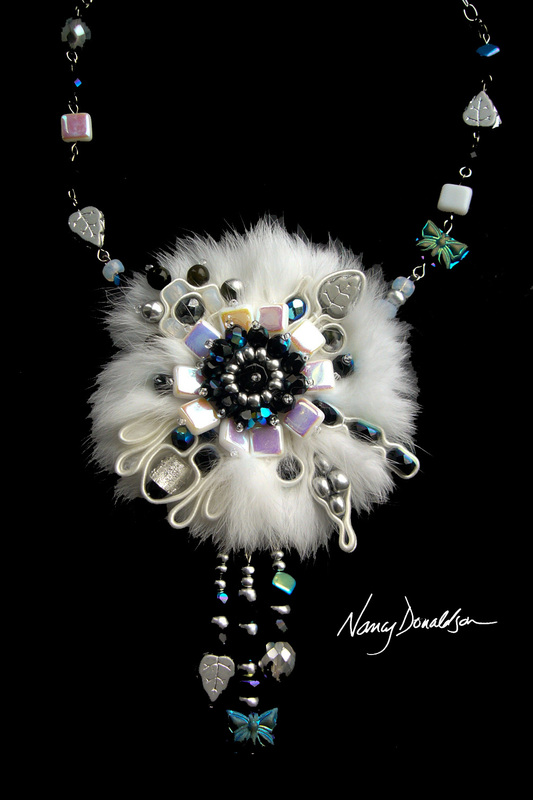 Her fur necklace was a first time experiment to incorporate fur with soutache. I think we can all agree her project is a dreamy success. Also, the matching earrings are simply lovely. 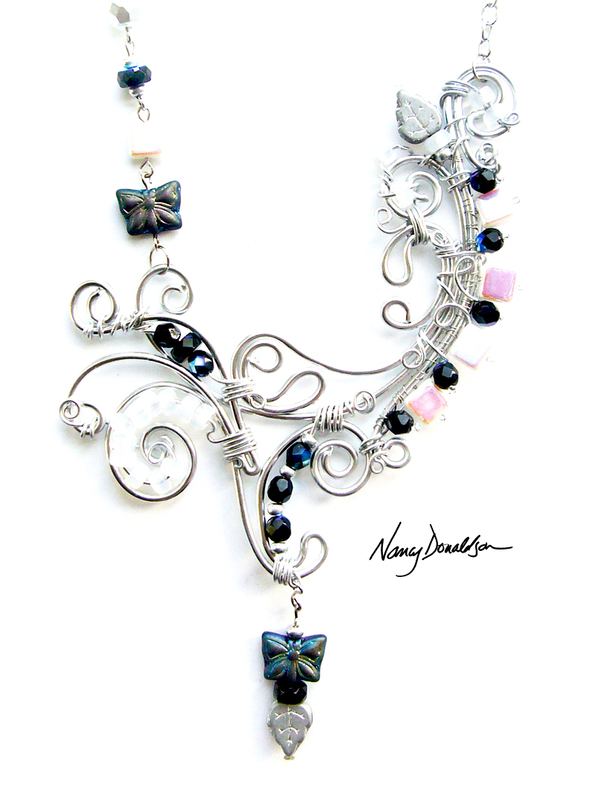 Nancy teaches her wire working techniques, so it is no surprise to see such a stunning statement necklace featuring wire with the beads. 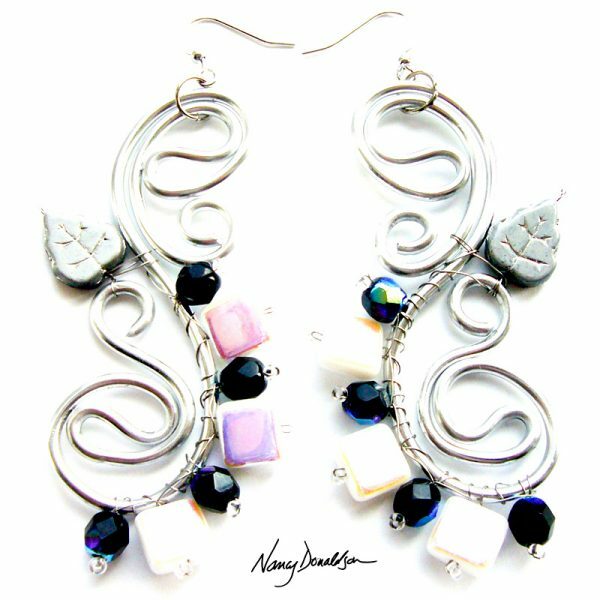 The wire wrapping placed the beads in spots along the curved edges that creates a stained glass effect. Nancy’s collection was the most difficult to photograph given how many white beads there are to feature. I think she did an amazing job! 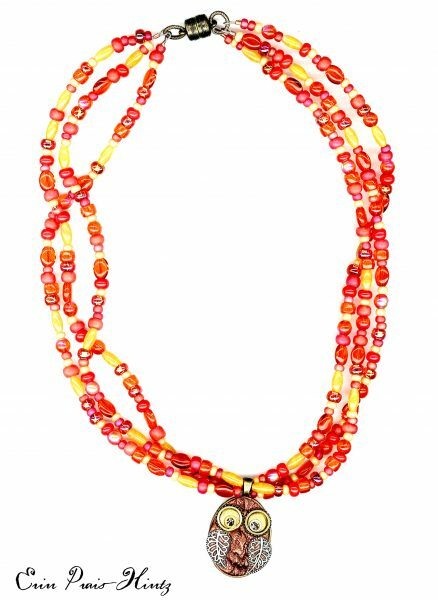 Nancy had the Dazzling Sidewalk Mixed Beads collection. Christmas came early this year! The Santorini Coast pallet was filled with shades of blues and greens with just a touch of copper. As soon as I saw the unique shapes I knew I needed to create something that would highlight their individual beauty. Immediately I could envision a wire frame bead cuff. The only question was silver or brown wire. In the end I chose brown! 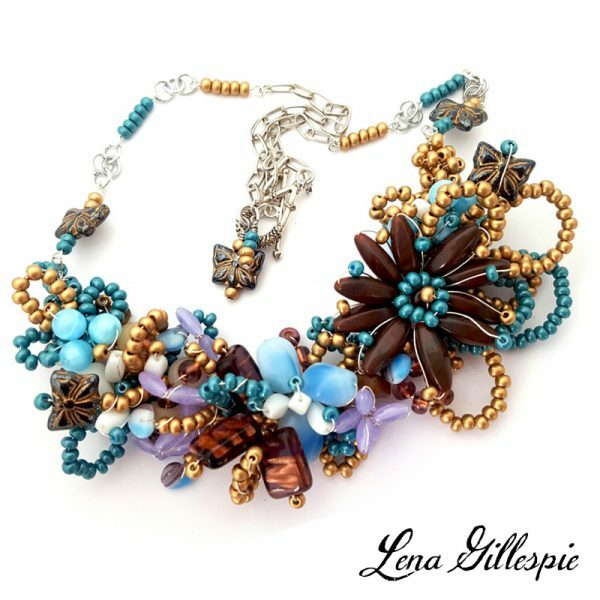 I have always loved the contrast between blues and browns! 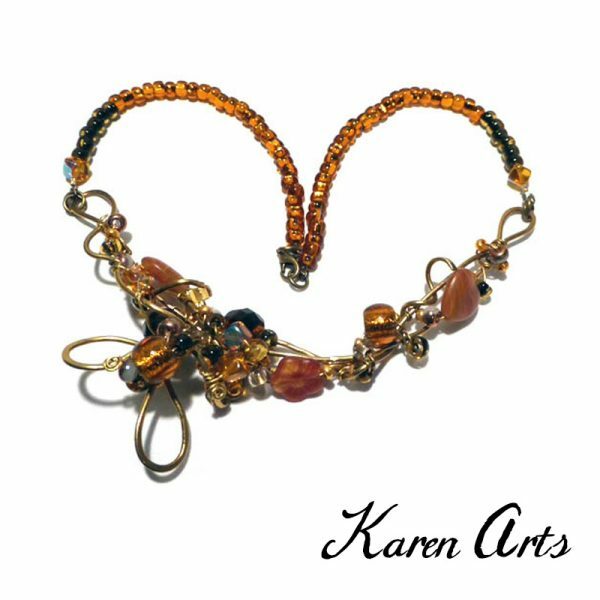 It was easy to fill up the 1” wire frame cuff giving each beauty its own place of honor! All that I added from my personal stash were Tierracast daisy spacers, and Swarovski crystals. 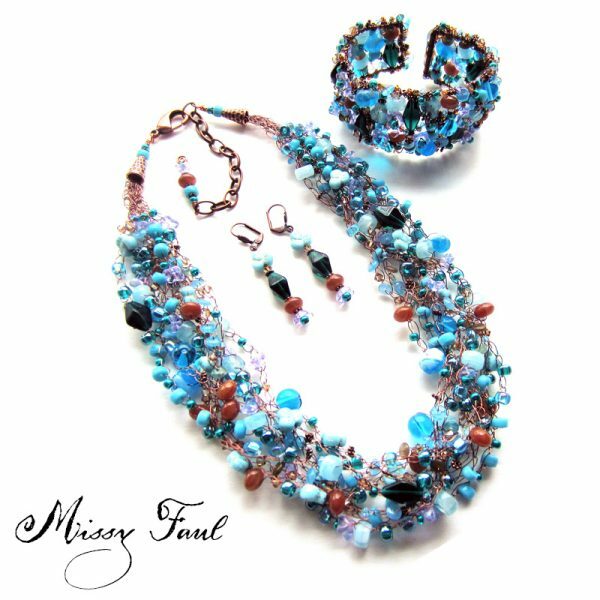 There were plenty of beads left over to make a “bead soup” wire crochet necklace and matching earrings! 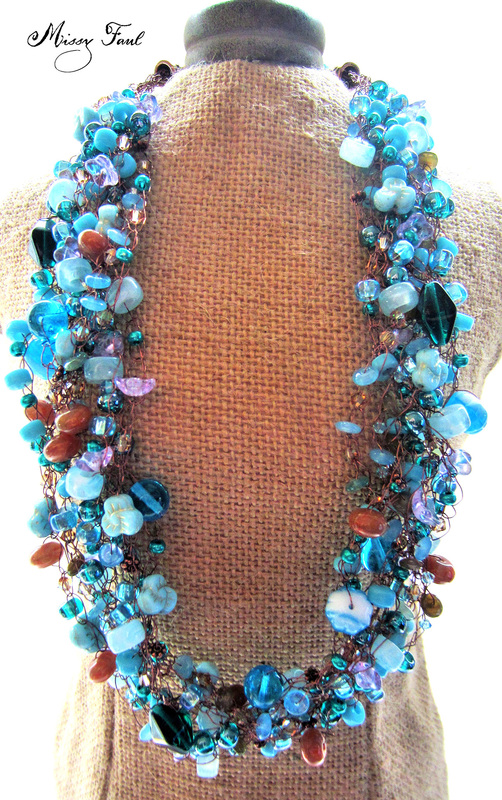 The Santorini Coast Mixed Bead collection. Thank you for the opportunity to design for John Bead Corporation! Enjoy the day! 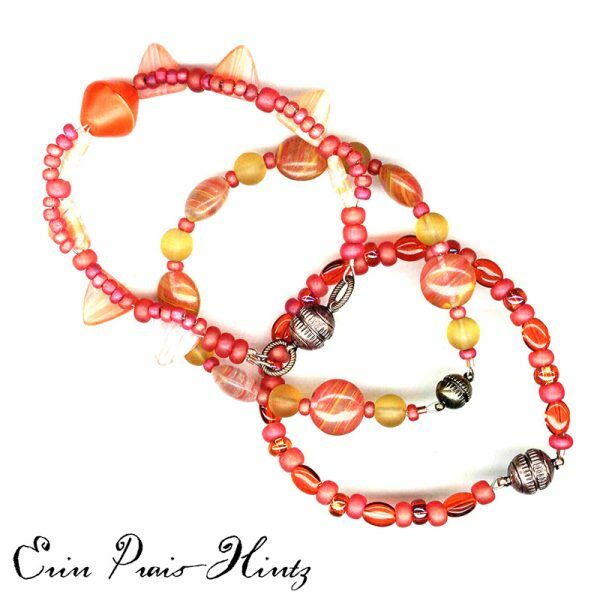 Erin had the Sunset in Venice Mixed Bead box. I am featuring my own project today! The Gold Gravel box was my favorite and I used my insider access as the challenge coordinator to select it for myself! 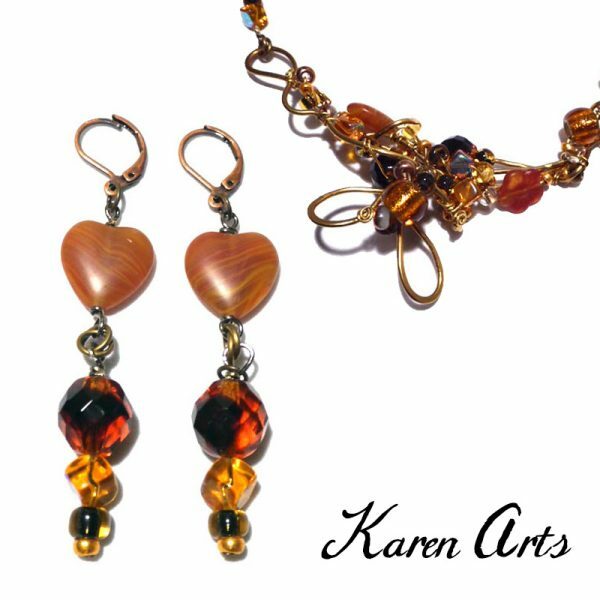 This is the second time I have created a set of jewelry with it. 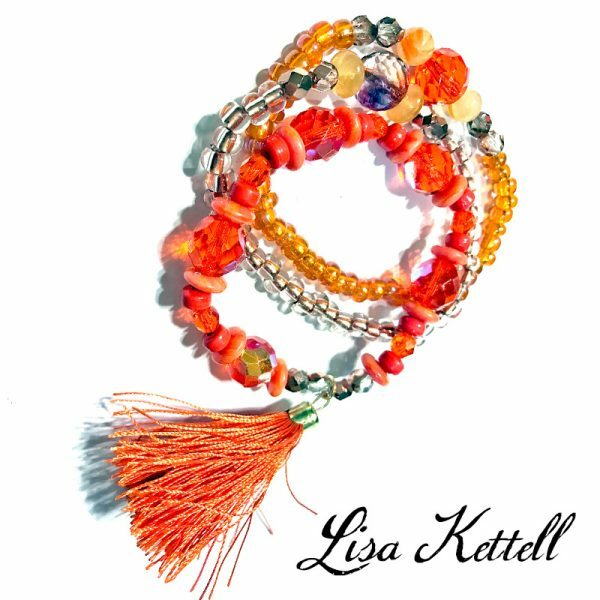 The first design I made has been submitted to Perles Et Cetera magazine and I am hoping to wear both at the same time. Hence, my desire to work with the collection a second time. 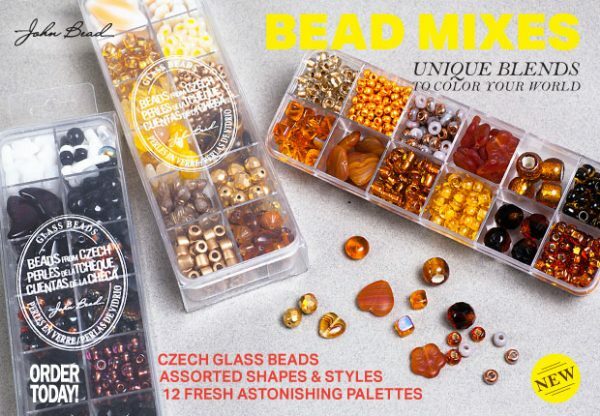 This longer strung project showcases the numerous beautiful beads in this Czech glass bead box. 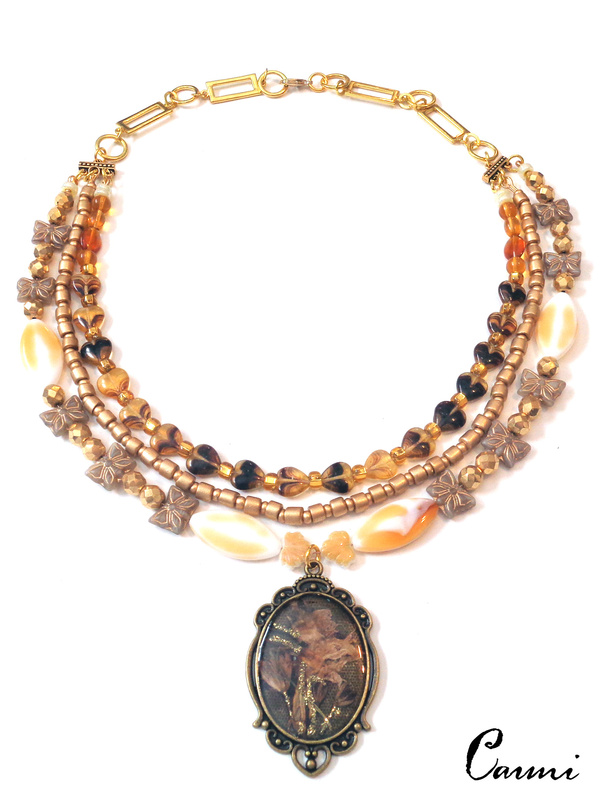 It also features a resin filled bezel with encased dried flowers I created for my blog ILoveResin.com. 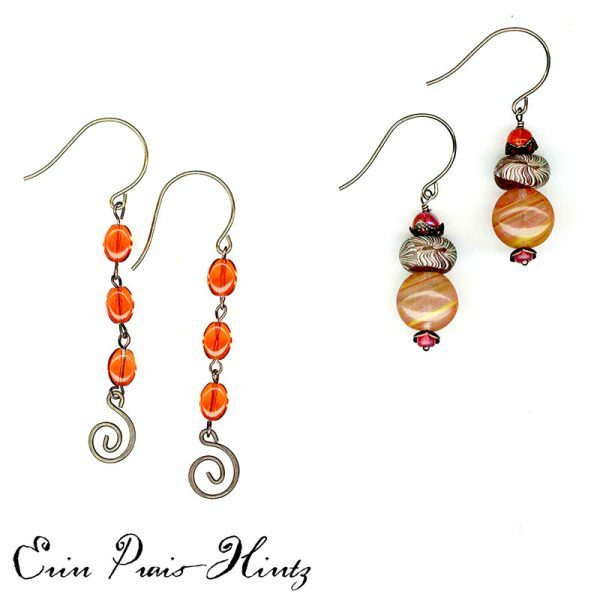 I could have also made a half dozen or more earrings…there are still so many beads left in my box! Sarah was one of the first designers I wanted to include. 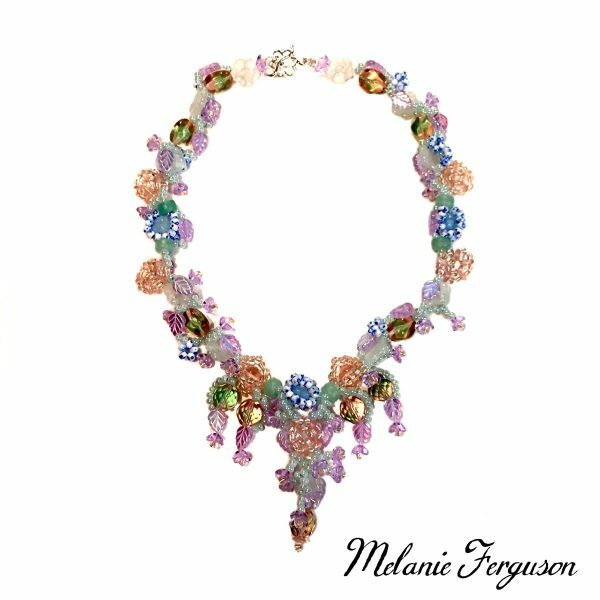 She lives in Britain and is a well known on-air personality in the jewelry industry. Her beads actually arrived quicker by mail then some of my designers in the USA! Like almost everyone in the challenge, she created something I did not expect at all! 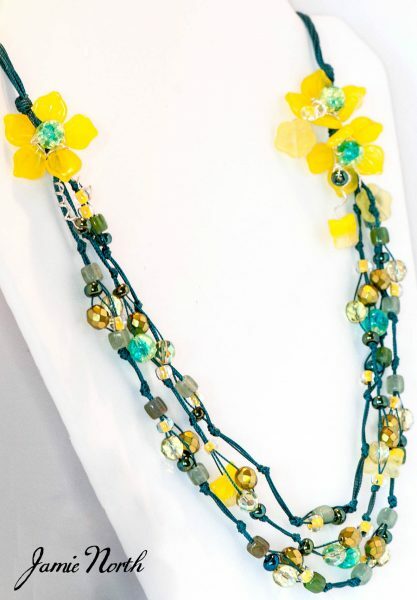 In her words “It was just lovely to have a project to do for myself.” I can see her wearing this necklace over the holidays and she mentioned it looked wonderful with a plain round neck t-shirt. Like Sarah’s Facebook page to learn more about her some of her instructional DVDs. Sarah received the Ma Vie En Rose Mixed Bead box. 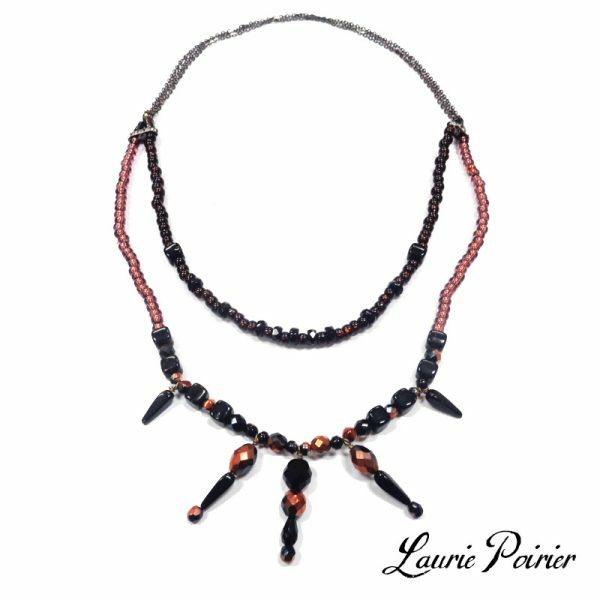 Laurie’s submission proved that our mixed bead boxes can create a gorgeous set of jewelry and you’ll still have leftovers! 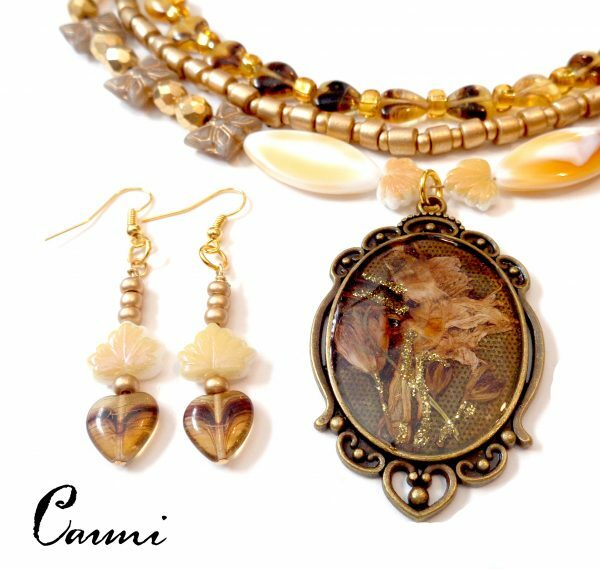 Her necklace, bracelet and earrings are detailed and you might think she received several boxes to work with. She did not – this one box exploded into finished jewelry! 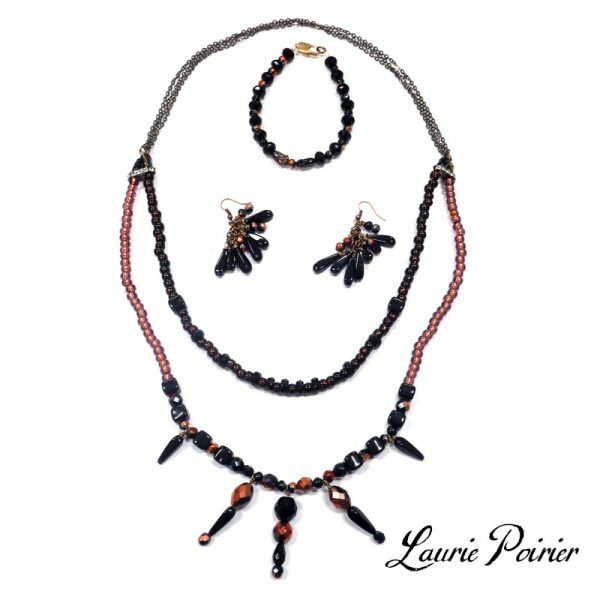 Laurie received the Dark Starnight Mixed Bead box. I’m calling it “Paint the Town Red!” As soon as I opened the container and saw red and gold tone beads I was in heaven! I loved how all the various shades and textures of red blended so well together. 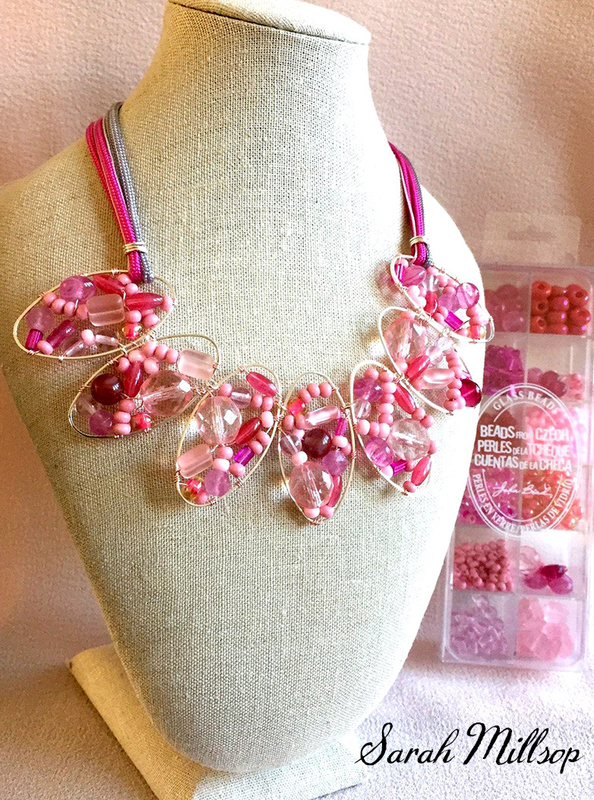 Suze received the Bologna City Bead Mix. 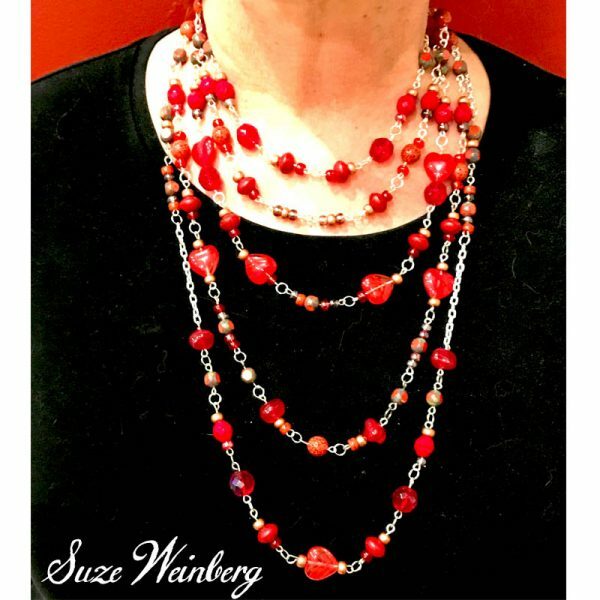 Once the necklace was completed…she just kept making more…. The Topaz Pizzazz mix clearly inspired her! 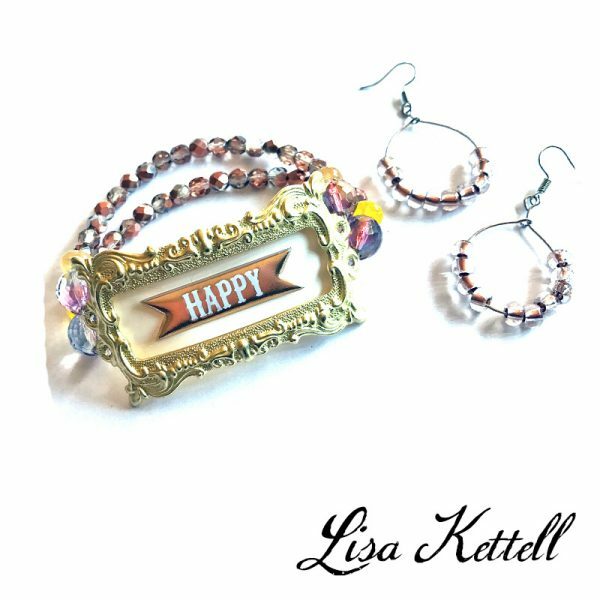 Happy Wishes (bracelet and earring set) by Lisa as well. 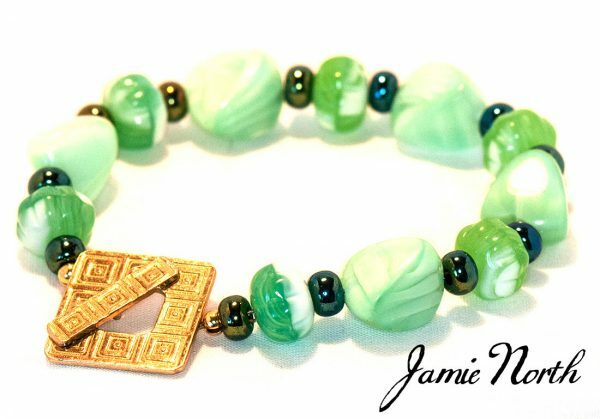 Jamie also made this bracelet with the leftovers in her bead mix box. 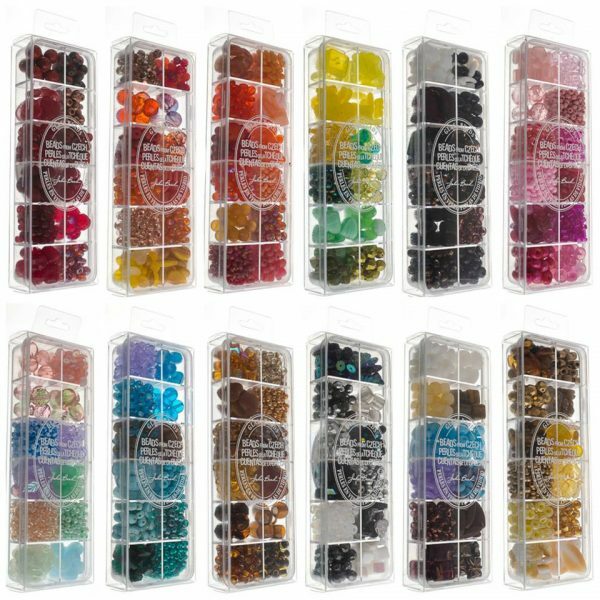 Each designer received one mixed bead box and almost all of them have reported that they still have so many left over after completing their projects. We have designers participating from Canada, The USA and the UK. Our Facebook page will have giveaways featuring these mixes so Like our page for details. These designs are just incredible! So fun and on trend! I would love to take part in this challenge. I used to live in England and I visited your stand at the NEC in Birmingham 2-3 years ago. 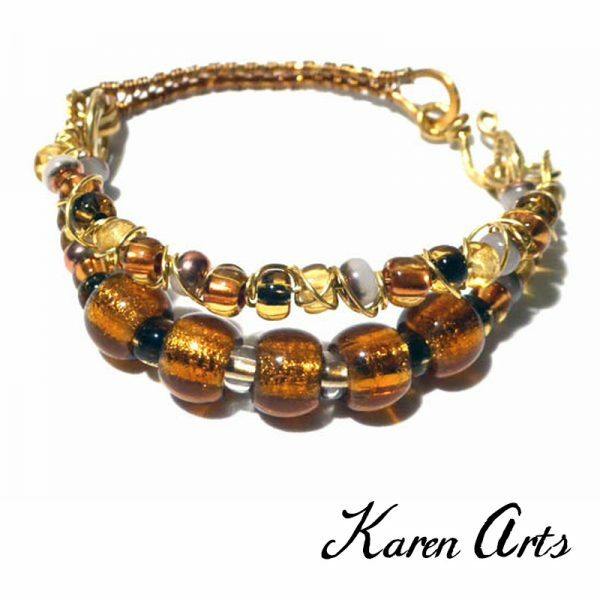 I took part in a similar challenge for Bead Magazine number 37 and I had one of my designs in Bead Magazine 39. Now I live in Brazil and here there isn’t any of the products you sell. I am looking for quality materials to carry on designing. I am the owner of Jeanie Jewellery. Fernando knows me. These are beautiful. Looks like lots of fun. Lovely samples of the bead collection. Next Next post: Happy Holiday!